The five marketing metrics that matter differ for every business and organization. Finding them puts you on the right track to creating marketing campaigns that move the needle. What should we be tracking? We get this question all the time, and always answer it the same way: for most businesses and organizations, there are only five metrics that really matter. When we say this, most people grab a pen and listen attentively. But this isn’t a one-size-fits-all list. They are based on your individual business or organizational goals, and only you know what those are. Tracking the metrics that matter is more efficient and effective than tracking everything all the time without a plan. 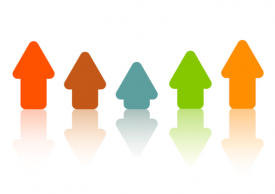 In this post we’ll help you discover what those five metrics are. 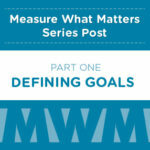 Finding your Five Metrics That Matter starts with identifying your business or organizational goals, then connecting those goals to marketing hypotheses that can be proven or disproven over a period of time. If we [do this marketing task], it’s likely we’ll see [this effect]. If you’re like most time-strapped marketers, your hypotheses might come from hunches you have about what content will resonate, but it’s not about creating marketing that meets organizational objectives. The key is to work backwards from important business goals and create your hypotheses from there. Start by figuring out what the most important goals in your business or organization are, and then use your marketing savvy to tie those objectives to a realistic campaign you believe will affect the metric. 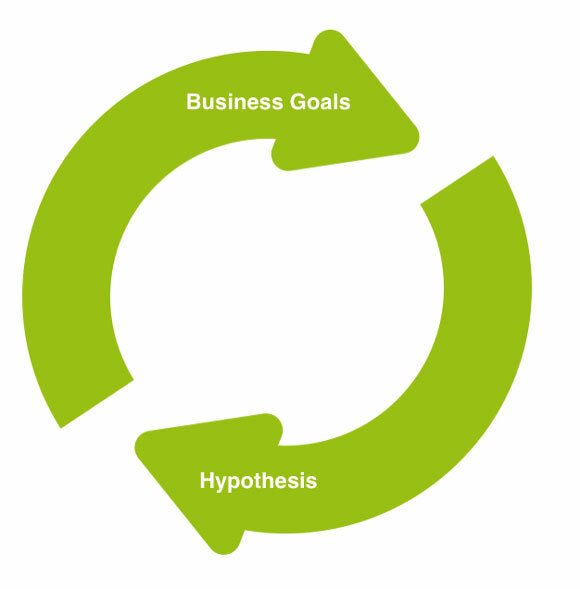 Your business goals inform your hypotheses, which, in turn, should grow the business. Organizational goal: This year, the library needs to increase participation in its teen programs by 20%. Marketing hypothesis: If we promote our teen events on our Facebook page with advertising targeted at teens and parents of teens, we’ll see an increase in program participation. Business goal: Increase subscriptions to our organic produce boxes in the Chicago area. Marketing hypothesis: If we optimize for several keywords and create a landing page designed to increase conversions, we’ll see an increase in organic produce box subscriptions. 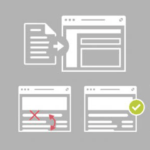 After you connect your marketing hypotheses to your business goals, ask yourself: how will we measure the results and how long will we run the test? Organizational metric: Increase in participation in teen programs. Marketing metric: Reach of Facebook advertising in each demographic (teens and parents). Business metric: Increase in subscription produce box signups. Marketing metric: Percentage of traffic to landing page based on organic search and landing page conversions. When the timeframe for the test is over, you’ll measure your results against your baseline to see if your marketing efforts had an effect. The connection between your marketing metrics and business metrics won’t always be cut and dry, but you can use your best judgement to determine whether or not it looks like your marketing efforts are in sync with business metrics. When your marketing metrics match business metrics, campaigns are in sync. It’s important to note that you can connect a business goal to more than one marketing hypothesis, because there’s more than one way to organize a marketing campaign around a business or organizational objective. For example, the natural foods store might also create a Facebook advertising campaign to promote organic product box subscriptions, and that campaign would come with its own set of metrics. … and so on. Using this system, we suddenly find ourselves looking at just a handful marketing metrics that we’ve proposed will move the needle. These are the metrics that, for this time period, we should be tracking. But wait a second. I thought you said it was Five Metrics That Matter. Is it always five? Of course not. It could be seven. It could be just one metric. But five is a good place to start. The idea is that you’re limiting what you’re tracking to what you, the marketer, believe will have the greatest effect. 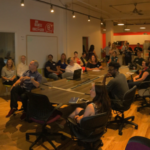 So when we say The Five Metrics That Matter, what we’re really doing is freeing you to focus on just a handful of metrics that demonstrate the value of your marketing and allow you to focus solely on those efforts.